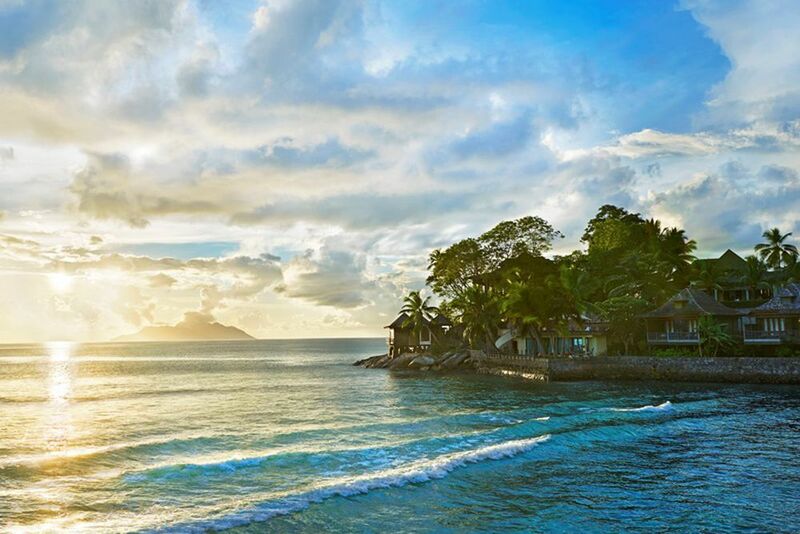 Nestled in the green, unspoilt landscapes, the Hilton Seychelles Northolme offers an idyllic location. The Hillside Villas are inspired by treehouses and designed with lots of wood. 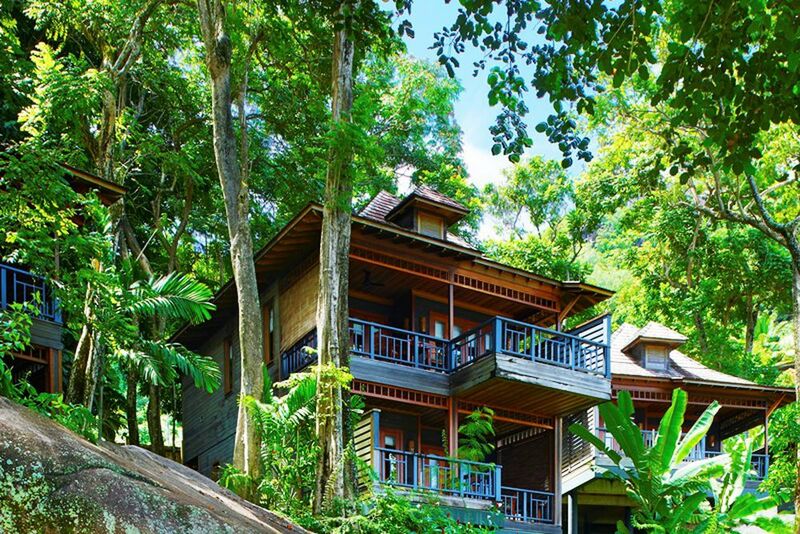 Enjoy the treehouse flair inside the Hillside Villas. A quiet environment and lush greenery surround the hotel and the individual villas. 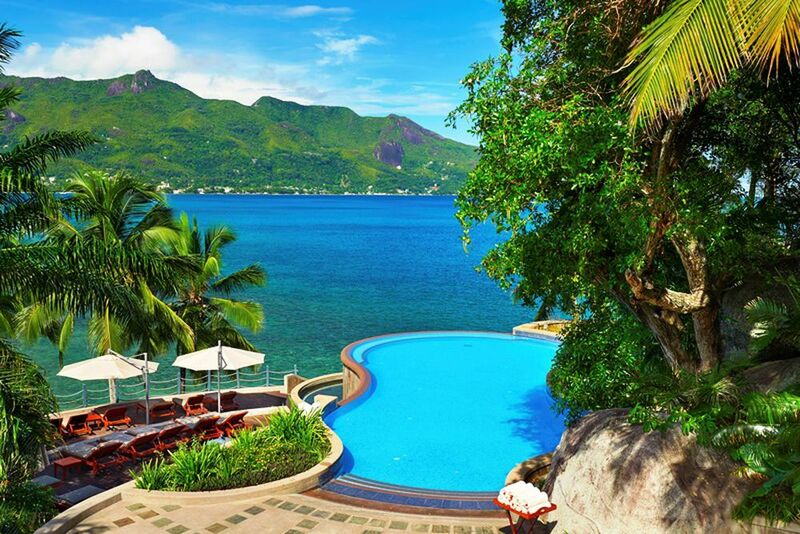 Why is the Bay of Beau Vallon a beautiful holiday destination? Its blue waters and white sandy beaches are just a couple of the unique reasons! 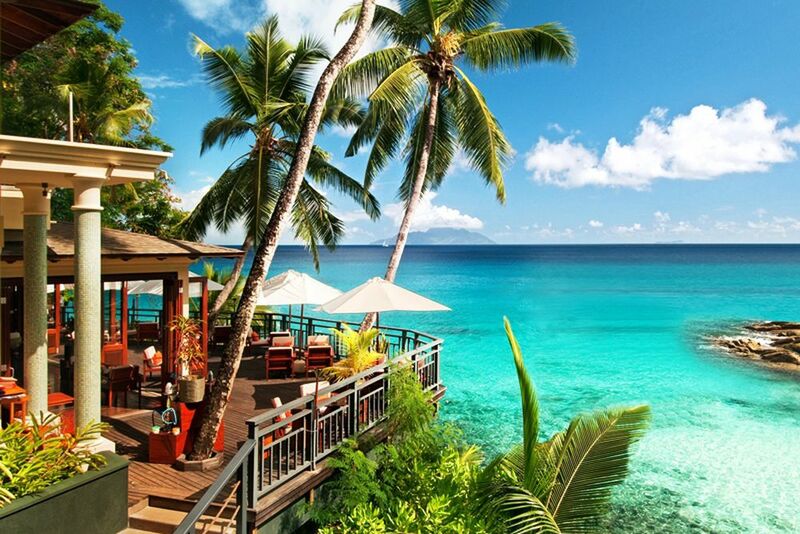 Enjoy the view at the Ocean View Bar. Close your eyes and listen to the sound of the waves. Guests staying at the Deluxe Oceanview Villas can enjoy a private infinity pool. 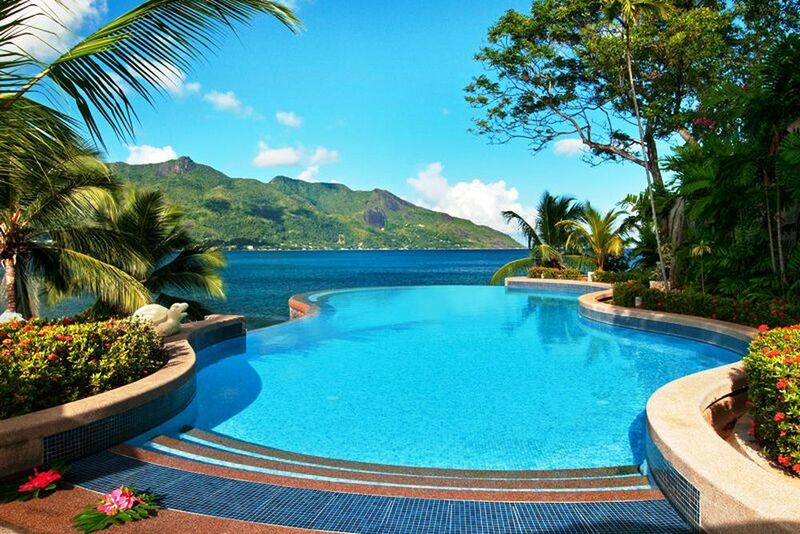 Take a stroll to the pool while you appreciate the fantastic views. The Hillside Villas perfectly nestle in the surrounding environment. 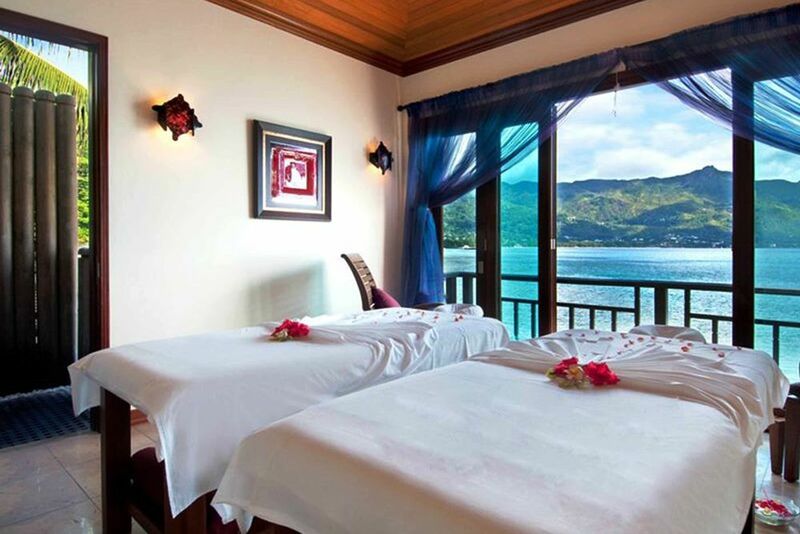 Let yourself be pampered at the Duniye Spa's pleasant atmosphere. The breathtaking scenery will leave you with unforgettable memories. The lobby exudes bright colors and a pleasant ambience. Relish under the warm sun, the light breeze and the sound of the waves on your private terrace. Pure holiday moods are guaranteed! 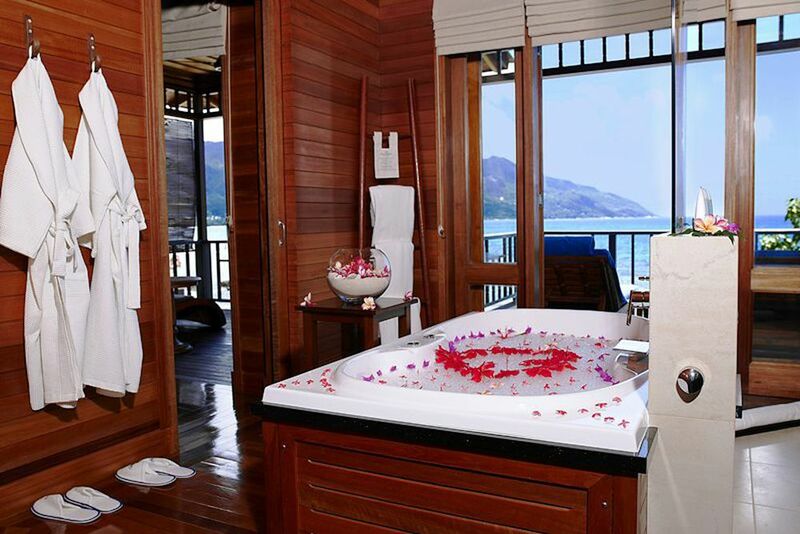 The Deluxe Ocean View Villas' luxurious bathrooms boast extraordinary design. 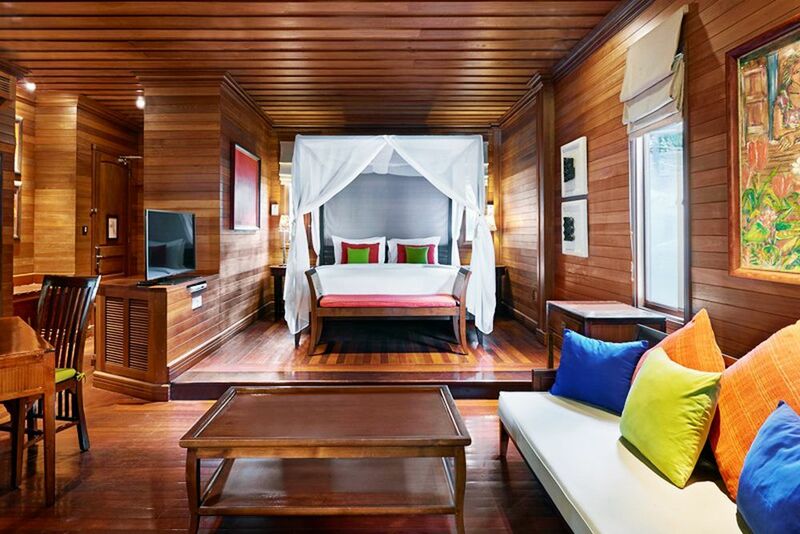 Experience an authentic ambience in all of the rooms. 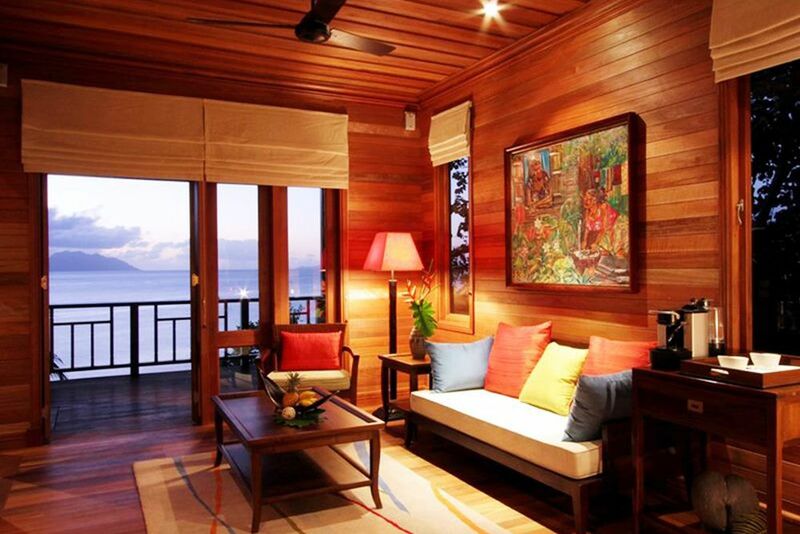 The noble wood details make the living areas of the Hillside Villas particularly cozy. Want to enjoy a pleasant evening with an amazing view? Then the Hilltop Restaurant is certainly just the thing for you. 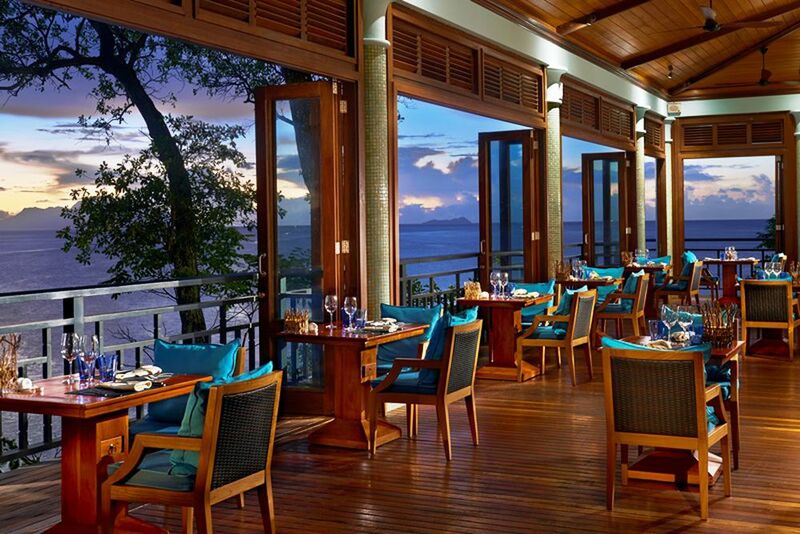 Experience an unforgettable dinner overlooking the Indian Ocean's jaw-dropping sunset. 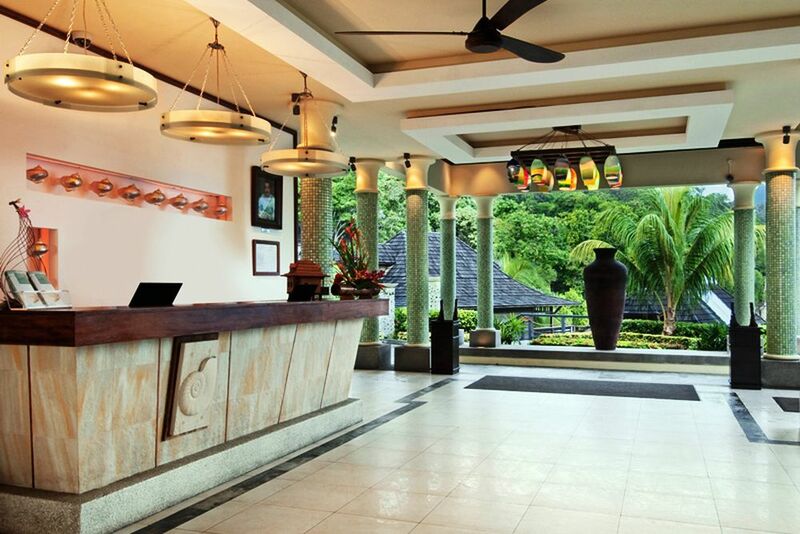 The hotel's tranquil atmosphere will allow you to truly enjoy your tropical getaway. Escape the summer heat and immerse yourself in the cool and refreshing pool water. Need a moment to plan your exciting day? The lobby is the perfect place. For a refreshing drink and a tasty snack, head to Ocean View Bar. 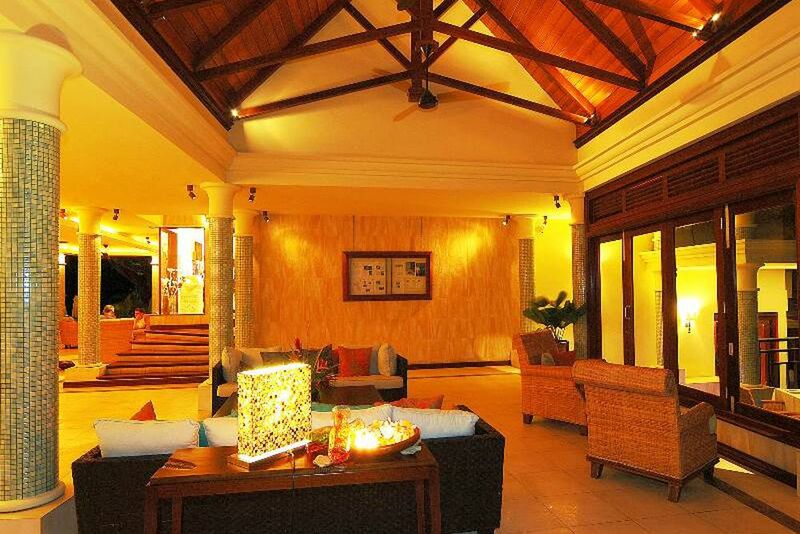 Inside the villas, there is a comfortable atmosphere that makes you feel at home. 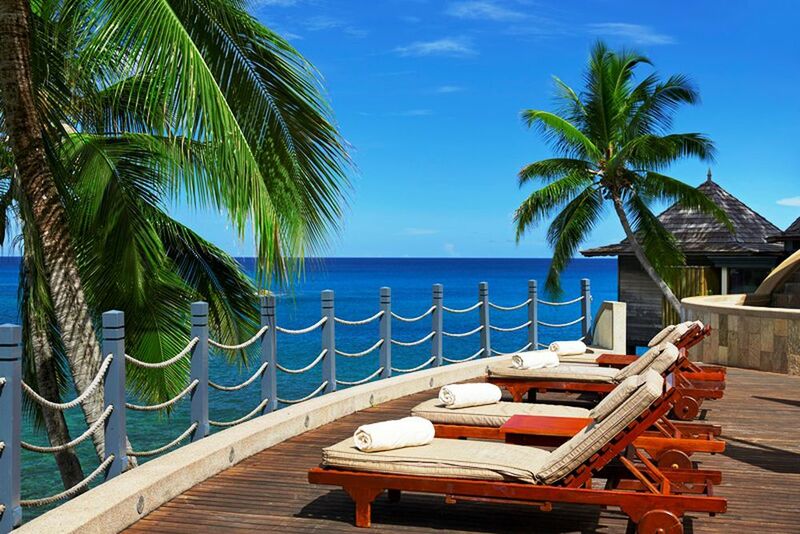 True relaxation can be found while you're on vacation at Hilton Seychelles Northolme Resort. You will not get tired of the Indian Ocean views. 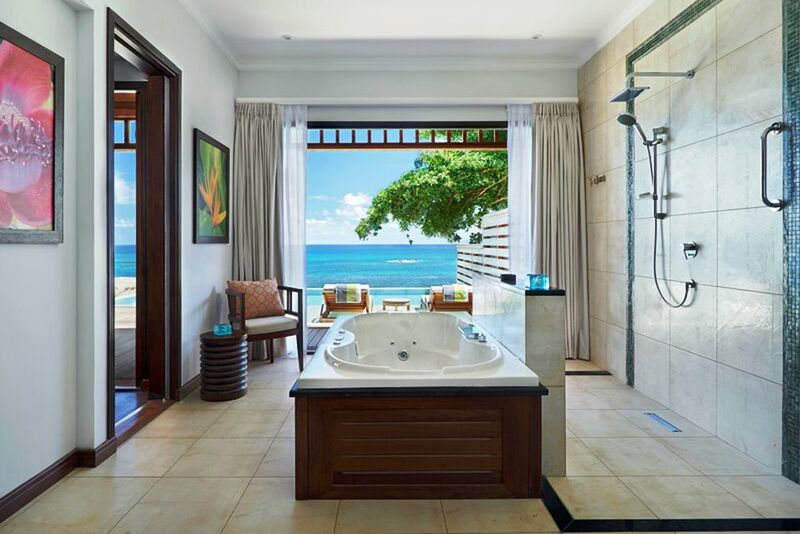 This stunning bath overlooks the Indian Ocean! 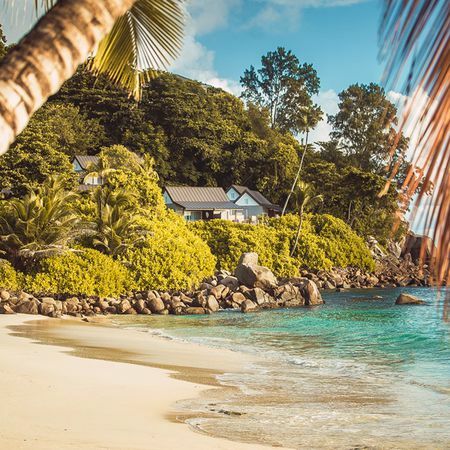 The five star Hilton Seychelles Northolme Resort is an untouched paradise along the Indian Ocean, and one of the most historic hotels that once inspired Ian Fleming to create the James Bond series. 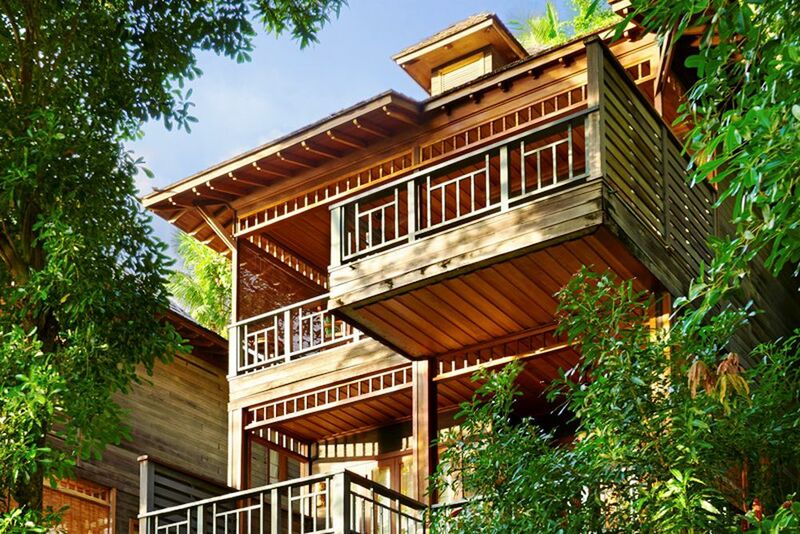 The Creole getaway lies at the northwest coast with its 40 extraordinary treehouse villas! 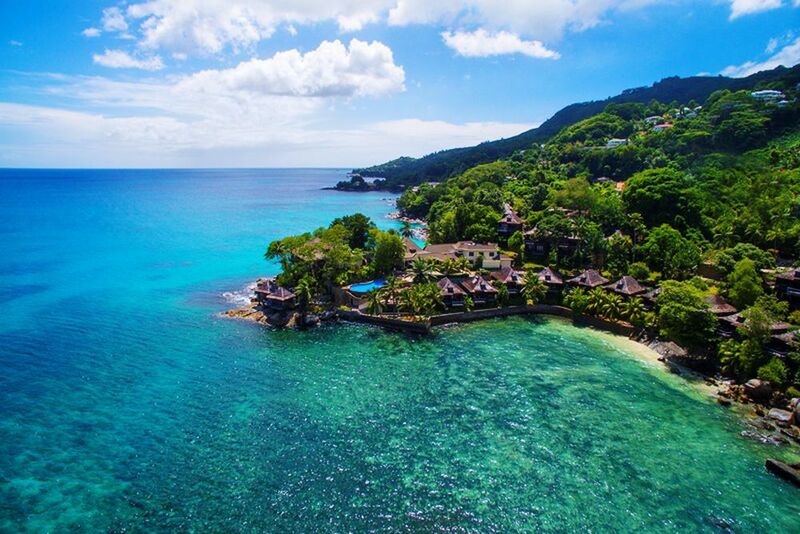 Come discover the resort's hidden treasures: white sand beaches, tropical gardens and crystal waters. 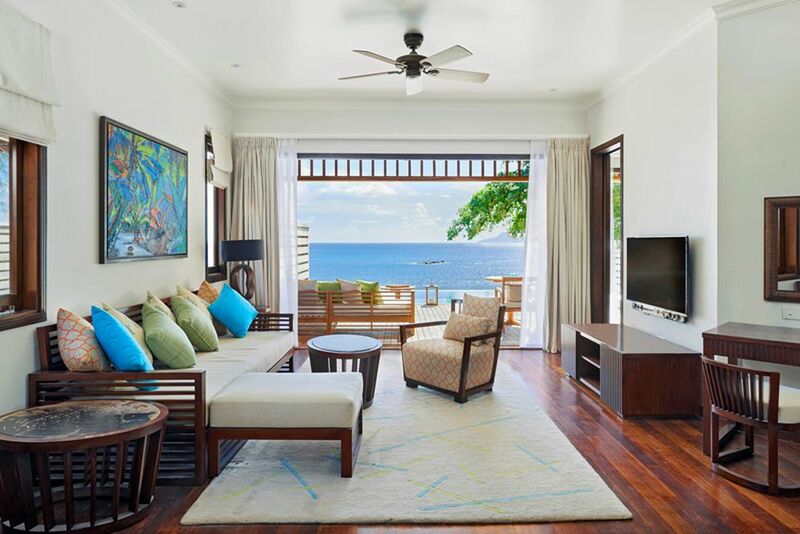 Hilton Seychelles Northolme Resort and Spa is a secluded hideaway nestling on a hillside amongst small beach coves on Beau Vallon Bay. 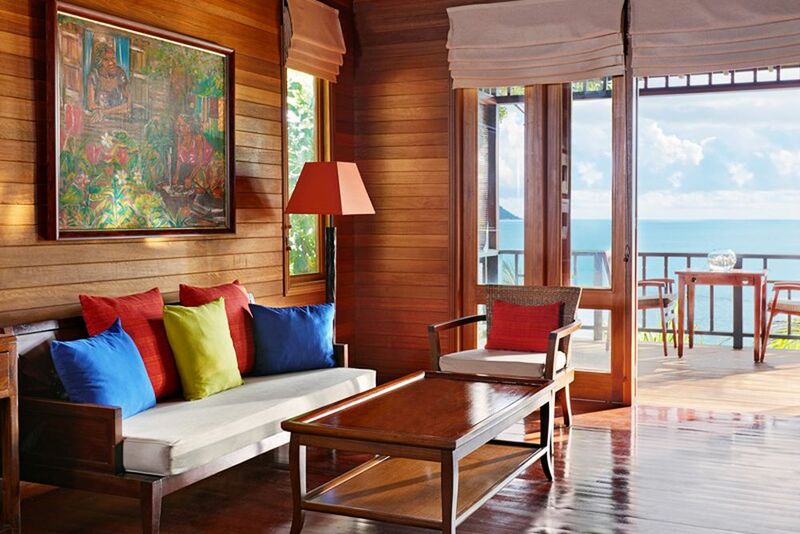 Enjoy spectacular views of the Indian Ocean and the silhouette of the nearby North Islands. Explore the majestic island by land, air or sea! Go snorkeling in the lagoons in front of the resort, take a glass boat cruise, or arrange for a helicopter tour. 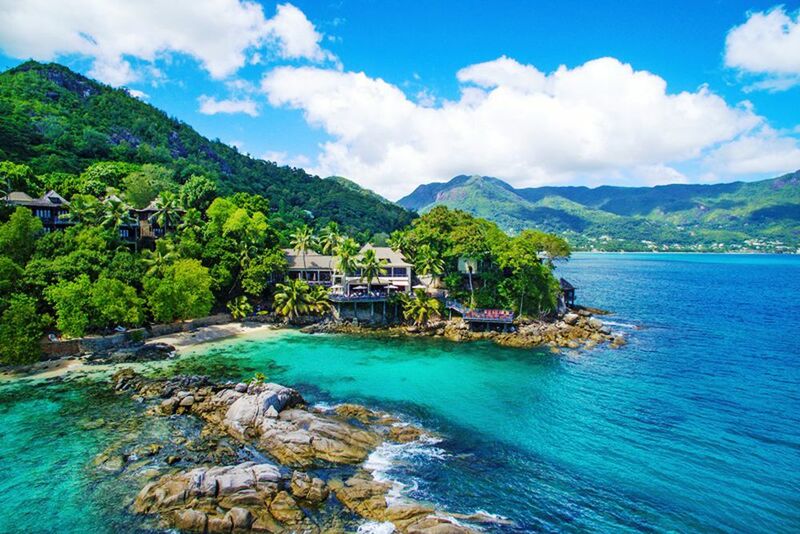 The hotel’s ideal location is close to the city of Victoria, the perfect place for a city tour and getting to know the nature and architecture of Seychelles. The city is only 15 minutes away and the international airport is 25 minutes away. 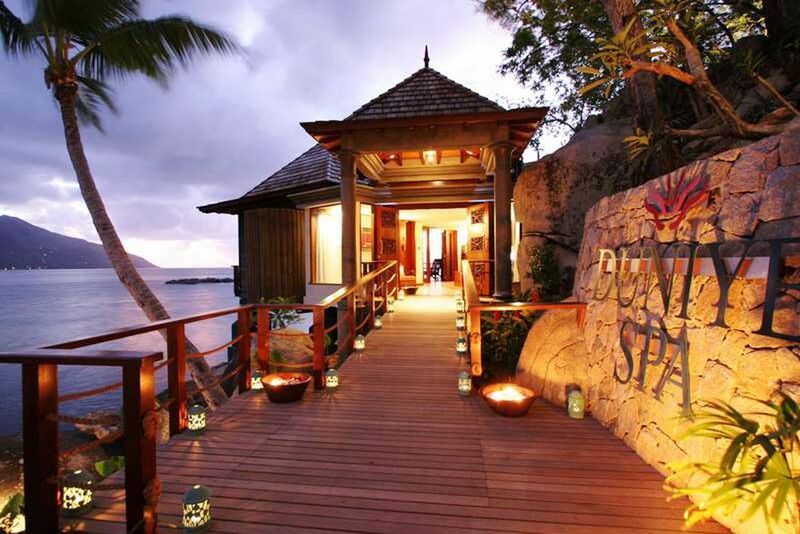 Hilton Seychelles Northolme Resort and Spa is a true escape. Indulge at the infinity pool, oceanfront dining, a luxurious spa, or glass-bottom boat tours. 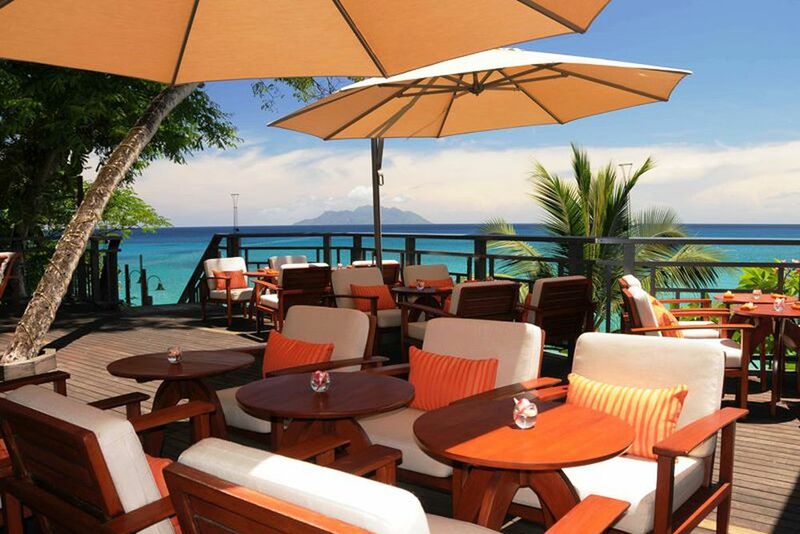 This is just the beginning of your retreat in Beau Vallon Bay! 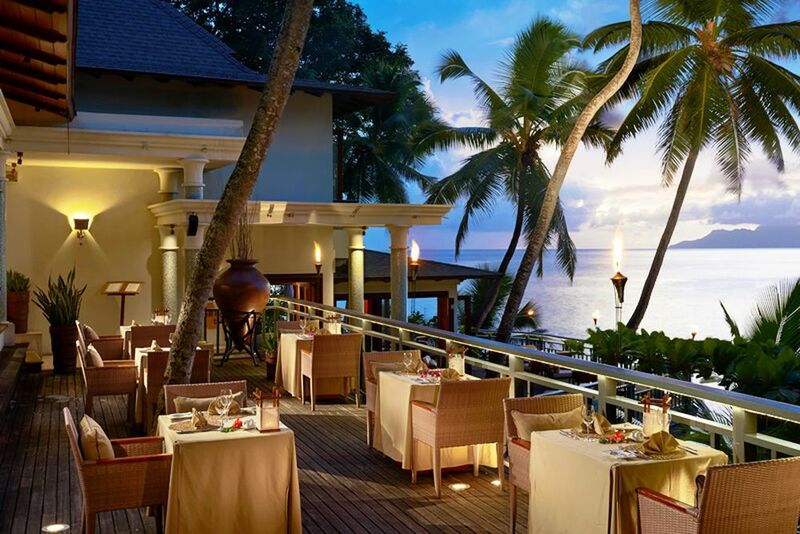 From light meals and colorful cocktails at the bar overlooking the Indian Ocean, to à la carte fine dining and varied buffets, the hotel invites you to discover its dining experience in a pleasant atmosphere. The Hilltop Restaurant offers not only panoramic views, but also a quiet atmosphere and a wide selection of local and international buffets. 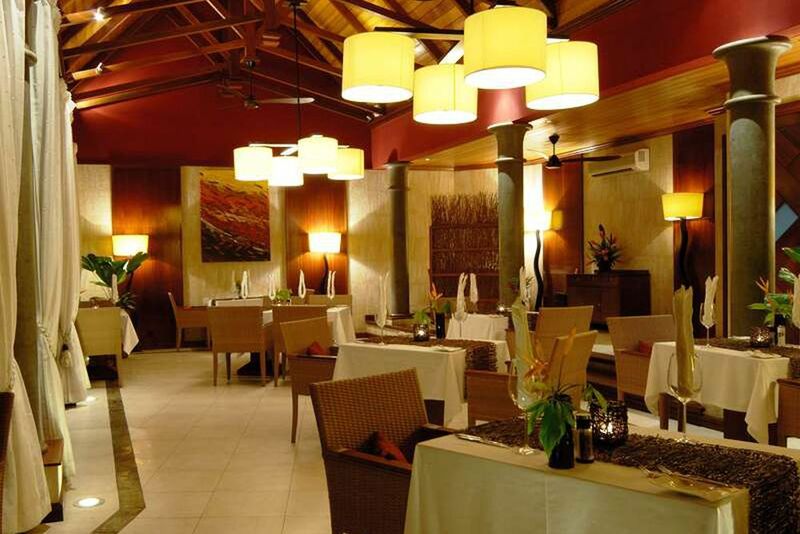 Enjoy alternating themes of Italian and Asian cuisine, as well as seafood! Watch the chef work their magic at the Live Cooking Station, and do not miss the authentic Creole cuisine on Monday evening! Under the warm, starry sky, discover the ultimate dining experience at the Les Cocotiers restaurant. The al fresco restaurant has the most spectacular view of the hotel and offers a selection of country-style Creole dishes in fusion with international dishes. Relax at the Ocean View Bar & Restaurant’s terraced balconies while enjoying the views of the ocean, as well as a wide range of international cocktails and fresh juices. Round off the cozy evenings with live music and the unforgettable sunset. 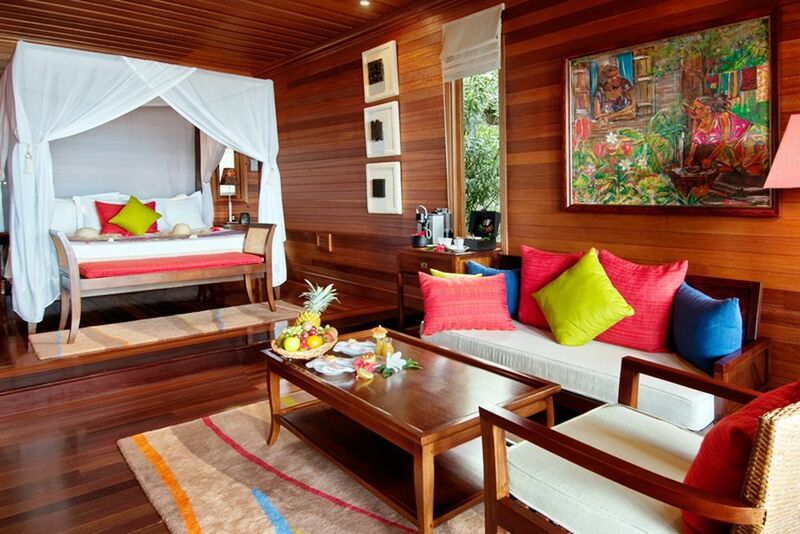 The 40 suites and villas offer just the right thing for every taste. 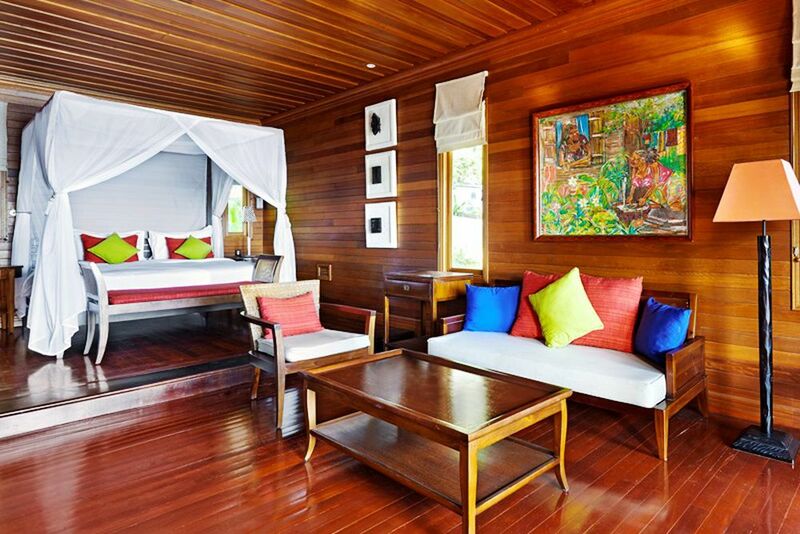 Spend your holiday either in the tropical forest or in the villas above the water. All rooms are equipped with air conditioning, an espresso machine, LCD flat screen TV, telephone, minibar, hairdryer and sun loungers. Wi-Fi is available for a fee. King Hillside Villa (90 m²)— Feel at home in these hillside villas, nestled in the lush, tropical forest and commanding spectacular Indian Ocean views. Replenish in the whirlpool or step onto the balcony to admire the sweeping sea view. King Oceanfront Villa (90 m²)— Relax in the luxurious villa that is placed on stilts over the Indian Ocean for unforgettable sea views and luxurious surroundings. Take in the sea views from your balcony, or unwind in your luxurious bathroom. Deluxe Ocean View Pool Villa (130 m²)— Experience an elegant wooden villa with sweeping, panoramic views of the Indian Ocean and Silhouette Island. 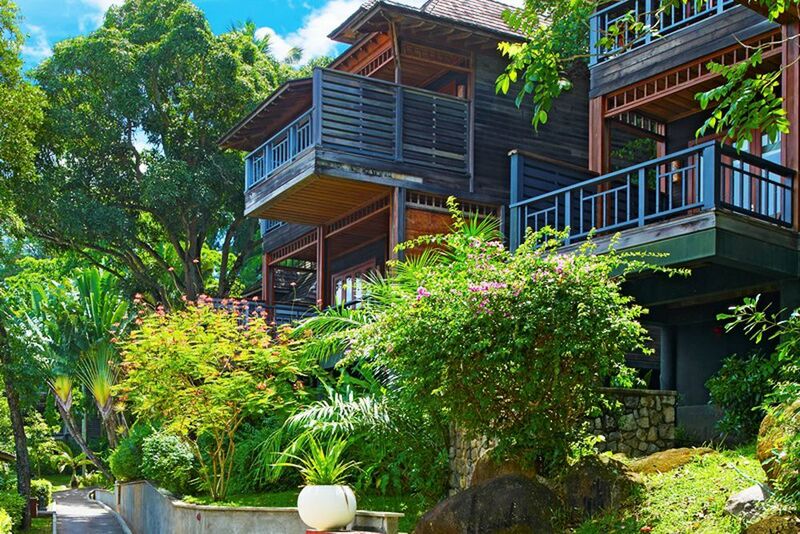 Unwind in the private in-villa swimming pool and admire the tropical forest on one side, and sunset over Beau Vallon Bay on the other side. The bathroom has a whirlpool bath perfect for romantic relaxation or for taking a refreshing break from the sun. 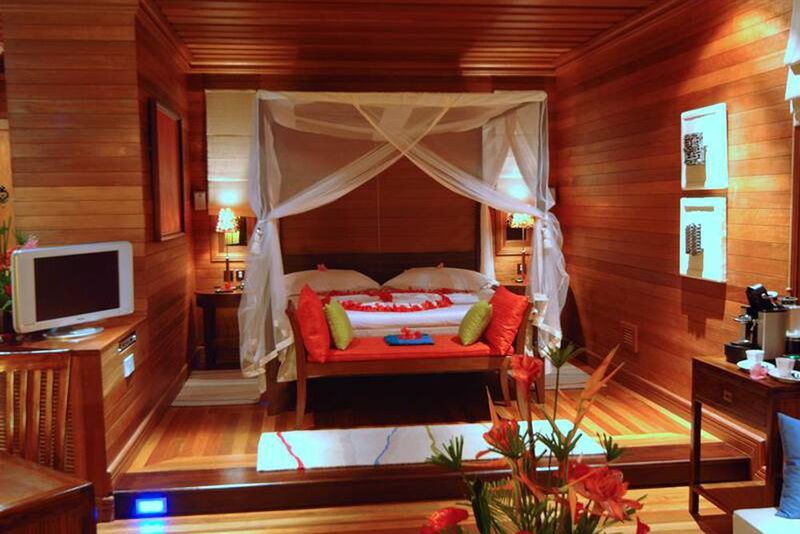 King Presidential Villa—The two-bedroom villas have an in-suite private bathroom, elegant wooden finishes and panoramic views of the Indian Ocean, Beau Vallon Bay and Silhouette Island. 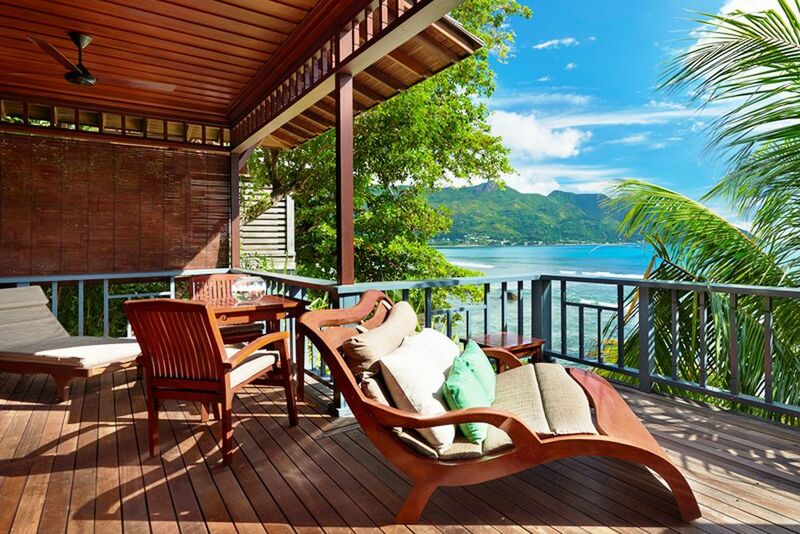 Unwind in the large private in-villa swimming pool or dine on the outdoor deck and admire on one side the tropical forest and the sunset on the stunning Beau Vallon Bay on the other side. The bathroom has a whirlpool bath perfect for romantic relaxation or for taking a refreshing break from the sun. Rejuvenate at Duniye Spa, a place where three distinctive treatment journeys encompass a unique approach to well-being. Leave all your worries behind and experience complete relaxation at one of the treatment rooms that boast views of the coast and waves that break at the rocks below. Thanks to the modern gym, you do not have to leave behind regular sport activities! In the yoga pavilion, participate in courses with coaches to discover tranquility.